The Mars Room and My Sister, the Serial Killer are both books about women who have committed murder. More specifically, they are both about women who have murdered men; you could call them #misandrylit, and you wouldn’t be wrong. 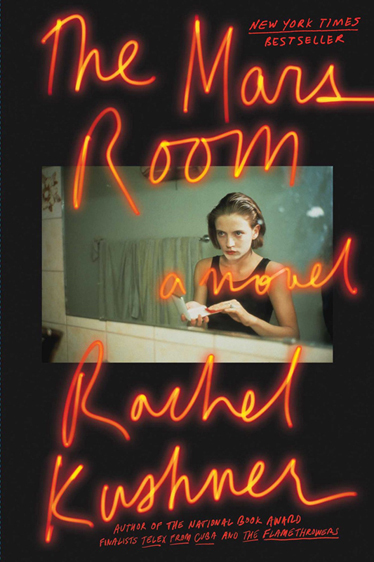 But when they arrived on my doorstep together, they felt like a comically mismatched pair: The Mars Room, with author Rachel Kushner’s National Book Award nomination announced on the cover, is thick and serious, while My Sister, the Serial Killer is small but eye-catching, neon-spattered and defiantly stylish. Personally, I picked up The Mars Room first, figuring on a dinner/dessert–type situation: I’d deal with the heavy, serious thing first, followed by something sweet, or at least sticky and fun. I also had some trepidation about The Mars Room’s premise. I understand Kushner’s instinct to take on a explicitly socially conscious project, but I was also preemptively annoyed by it. Why, I wondered, do I want to read an outsider’s perspective on the justice system (guess what, it’s fucked) when I could listen to something like Ear Hustle, which allows inmates to tell their own stories without mediation or literary flourish? In execution, it’s clear that the carceral state isn’t being used because it seems “gritty” and “interesting.” Instead, it is laid bare, carefully, minutely, as urgently morally repugnant on every level. The novel works to make the particular injustices of life inside feel vivid and specific, as in scenes where women wrap precious photographs in maxi pads and toilet paper and flush them between cell toilets as a means of communication with one another, or when Romy, the book’s central character, makes repeated, futile calls to a public defender no longer assigned to her case because he’s the only person she knows with a Global Tel Link number, the only kind of phone number that prison phones can call out to. The word violence was depleted and generic from overuse and yet it still had power, still meant something, but multiple things. There were stark acts of it… and there were more abstract forms, depriving people of jobs, safe housing, adequate schools. There were large-scale acts of it, the deaths of tens of thousands of Iraqi civilians in a single year… but according to the prosecutors, the real monsters were teenagers like Button Sanchez. Phewwww. OK. Heard and understood. Ultimately, the book’s Bush-era setting was prophetic: Reading it brought me back to the feeling of listening to my parents’ friends’ well-meaning monologues during early-2000s dinner parties, an era when I was introduced to heartfelt liberal opinions and never taught that I was actually supposed to do something with them. I left The Mars Room like I left those dinner parties: sobered, but not entirely sure what to do with that sobriety, beyond take it as evidence that we had compassion and intelligence and heart, and a lot of other people—bad people, dumb people, mean people—simply did not. My Sister, the Serial Killer has compassion for no one and nothing. That’s not to say that it’s a mean book, only that it’s not much for tenderness. The chapters are short, the writing spare. It’s easy to race through in a handful of hours, swallowing too quickly to digest thoroughly. That dessert metaphor turns out to be pretty apt. The book doesn’t want you to do anything but experience it: Korede scrubbing blood out of the grout between tiles, using bleach to mask the smell; Korede sitting in Lagos’s early morning traffic, bargaining with a cop about how much it will cost her to get out of a ticket for not wearing her seatbelt. Korede watching her sister Ayoola murder one boyfriend, and then another, and then another, as it becomes increasingly clear that this is not going to stop, and that Korede is not going to stop it. 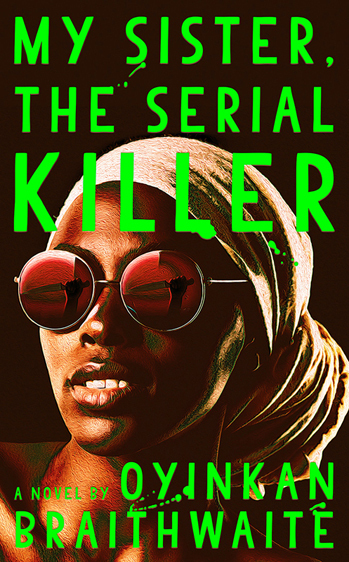 While I loved all of those experiences, I wanted more from My Sister, the Serial Killer: more than Korede’s obsessive rigidity and tidiness contrasted with Ayoola’s messy, intoxicating femininity. I wanted more nuance, more complexity, more meat on its bones. The breathlessness of the narrative is enticing while it’s happening, but makes the book’s story hard to hold onto when it’s finished. My Sister blinks at you like a piece of neon signage: buzz-bright one moment, gone dark the next. I can complain about The Mars Room for hours. How did Romy, who seems to have no close friends, luck into an unlimited supply of reliable, free, all-hours childcare from generous neighbors? On the other hand, describing what I like about My Sister, the Serial Killer is as succinct as the book. It’s easy to say I like it. It’s harder to explain exactly why. What I can say is that I responded viscerally to My Sister in a way that I never did with The Mars Room. I liked its noir deadpan and its unapologetic darkness, the way it mapped trauma’s exponential quality, its tendency to replicate and spread. I liked the way it slipped back and forth in time: Korede’s normally organized mind unspooling slowly, falling to pieces, out of order. I liked that it made me feel something slick and unnamable, about Korede and Ayoola and about myself. The Mars Room is a more accomplished novel; I think it is probably technically a better book. But I’d rather read My Sister, the Serial Killer, in all of its unsettled, unsettling neon and gore. I’d rather feel something and then think about what the hell it was, than be told, page after page, exactly what I’m supposed to think and feel. Jessica Francis Kane: Ooh, this judgment is intriguing to me, as it gets to the heart of something I think about a lot when I read. The “this book is accomplished and important” versus “this book made me feel something” question. Of course, it’s not always clear-cut and some books achieve both things very nicely. But when a book doesn’t and you face a choice as Judge Romanoff does here, which way do you lean? Do you follow your head or your heart? Pitchaya Sudbanthad: I usually have no idea what I’m following. Most likely, my stomach. How about you, Jessica Francis Kane? Jessica: I think most of the time, I follow my heart. This is why I would have liked to have seen The Parking Lot Attendant go further (when it was up against The Mars Room). I like to “feel something and then think about what the hell it was,” as Judge Romanoff puts it, rather than coolly admire a good book. I think the books you remember most, the books that change you, are the ones that make you feel something, even when they’re flawed. Which way do you lean? Pitchaya: I think perhaps a little toward both, Jessica Francis Kane. The heart reads what it reads. I think most people who love to read start off this way, when younger: purely for the innocent, self-minded pleasure from the act of reading, without regard to any other external motivation. Did you start reading that way? Jessica: Yes. I started reading to be in a different world, or a different time and place. I read a lot of science fiction and historical fiction. But at some point I remember deciding I wanted to read the “classics,” just because they were designated as such. Pitchaya: The more I read, the more I’m compelled to leave that zone of ready satisfaction, because that simpler pleasure does not feel enough for the world larger than myself and certainly not for the possibilities of the novel as an art. Yet it can boil down to what mood I'm in, as a reader. Do I want to read for uncomplicated pleasure or for a more complex, nuanced story? It’s as subjective as that shifty appetite and the timing of whims, for an individual and the larger culture. It's a scary thought for a writer. I certainly felt that anxiety around the time my novel was published. Would readers beyond Bangkok be ready for a departure from common Western-eyed depictions of the city, or would they yearn for the comforts of familiar notions and tropes? Jessica: I think the best kind of reader does not stay within a zone of satisfaction. And as writers, I think it’s super important to read books stylistically very different from our own. I guess I’m arguing that if we assume this is one’s approach to reading, then what do we think is ultimately more worthy: an accomplished book or a messy, imperfect one that is full of passion? Pitchaya: I do tend toward the messier ones that probably wouldn’t have made it through the typical writing workshop gauntlet. Maybe that’s why I’ve been reading more translated works—from Polish, Korean, Italian, most recently—as well as some in Thai. They keep me reading, in part because their ranges of tonality, subject, and form feel so much freer and more unbound, at least to these sore eyes. Jessica: A few years ago I decided I would not always make myself finish a book I’d started reading. I did that for years, but I’m too old for that now; too many books, too little time. At the 50-page mark (my usual test), I find it harder to continue with a book that is accomplished but not thrilling me. Pitchaya: To me, degrees of fervent passion didn’t really apply as my measures of these books. I picked up My Sister, the Serial Killer and found it to be a quick, functionally built book that allowed me to read it within a few hours. In that sense, it’s a carefully constructed book that did the work needed for its particular story, one that, except for a few decisions needed for the plot, lets the reader join in the narrator’s passivity as her sister’s accomplice. It’s a well-architected thriller made to serve up an experience, as Judge Romanoff has stated, without asking for much more. 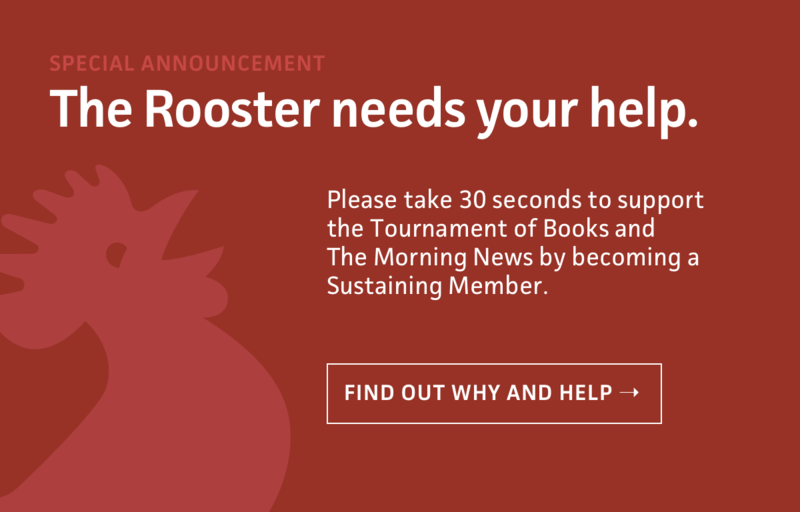 It might be the respite a reader needs in an already difficult, enraging world. Jessica: No one can be blamed for wanting a little respite in these times. I’ve heard writers talk about making different choices in their work given the constant onslaught of bad news. In my own case, I felt compelled when writing Rules for Visiting to put some social commentary into the story, but I also wanted to write toward—actually see if I could earn—a happy ending. Happy of a sort, anyway. Pitchaya: Judge Romanoff suspects The Mars Room to be the technically better book, and I think it is in that respect, but to me it’s also the more urgent book, one that is due the seriousness that Kushner has given it. The Mars Room asks for us not to look away from the profitable industry of mass human incarceration; it’s a necessary book and one that I would have chosen to win. 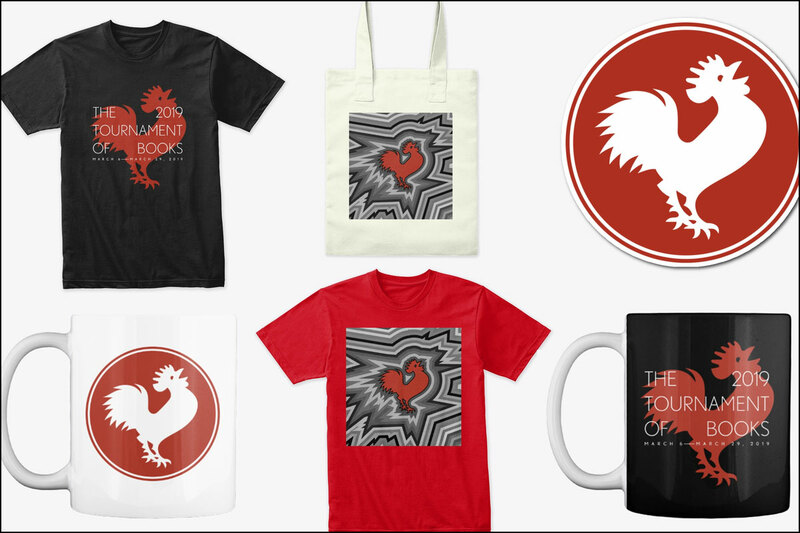 Jessica: I did not get to My Sister, but it’s hard to argue with the cultural relevance of The Mars Room, even if at times I found the book a little heavy-handed. I will agree with “urgent,” as you say. It is an urgent book, and accomplished, and I’m sorry to see it lose. Kevin Guilfoile: Just sneaking in on tiptoes to point out that our final two books are now set! My Sister, the Serial Killer has made an improbable run to the finals, where it will meet Warlight in tomorrow’s championship match. My Sister was one of my favorite novels from last year so I’m especially excited. As always, we ask you to make your predictions in the comments below. Please give us your winner, plus your best guess at the final vote tally. There will be 17 judges weighing in on tomorrow’s verdict, so your total number of votes should equal 17—e.g., My Sister, the Serial Killer, 9-8; or Warlight 10-7. Two winners will be randomly selected from all the correct predictions, and we will send those people fun prizes. Thanks again to Pitchaya Sudbanthad and Jessica Francis Kane for helping us out today and throughout the Tournament. Fantastic job. Everyone please check out their new novels, Pitchaya’s Bangkok Wakes to Rain and Jessica’s Rules for Visiting; both of them are getting rave reviews. John and I will be back here tomorrow, along with your Rooster organizers Andrew and Rosecrans, to wrap things up. See you then!